With several years in the Navy, travel and adventure are at the heart of Ariel and Rachel's love for each other. From Dubai to Hawaii to Singapore to Lake Tahoe, they have made their way around the world, but home is what they have found whenever they are together. These two lovebirds met at a poker tournament and fell in love over the course of many years, many overseas trips, and many long conversations about who they wanted to be with... and it just so happened to be each other. 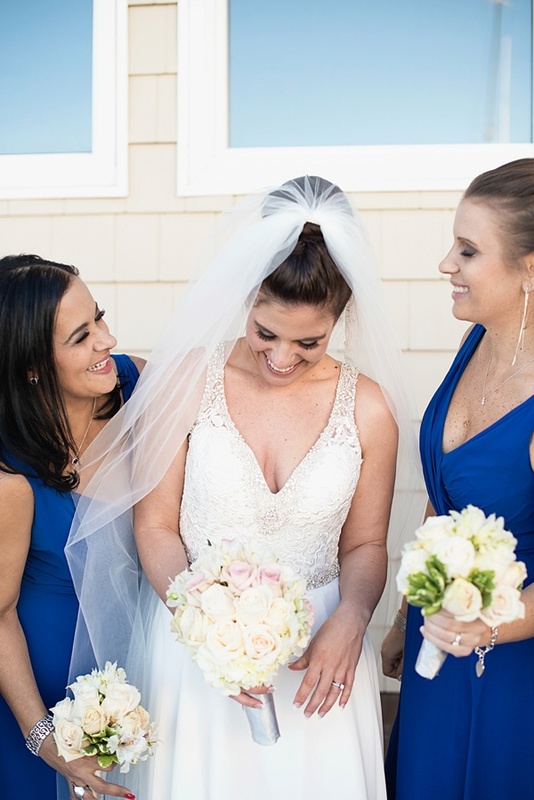 At the Oceanfront in Virginia Beach, Rachel and Ariel's wedding at The Water Table perfectly reflected the travel theme that has been central to their lives. 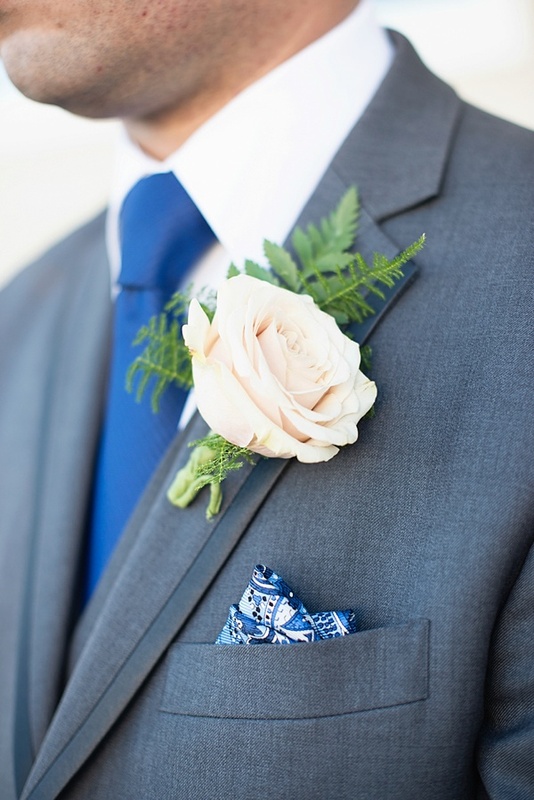 Maria Grace Photography captured every moment from romantic portraits on the beach to the handmade royal blue and blush details throughout the wedding. 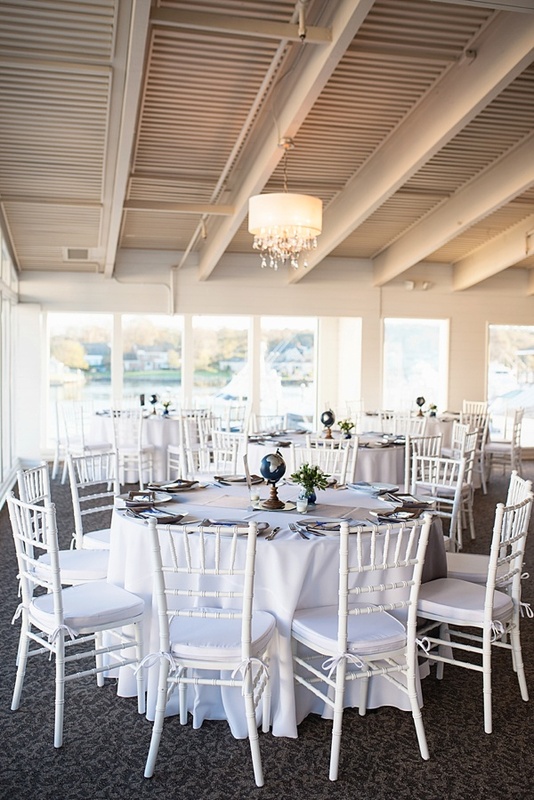 Each reception centerpiece featured a DIY hand-painted globe with that we're obsessed alongside a location one or both of them has lived or visited. One of our favorite details is their wedding guest book in the form of a canvas map that allowed guests to sign that they would later hang up in their home as wall decor. For Ariel and Rachel, home is where the heart is, no matter where the military takes them next.